At the property, there is a full-service restaurant in the main lodge. It is right next to the river that helps to nourish the very vegetables that are grown, cooked, and served at the property. The restaurant is open for breakfast and dinner, and delicious lunches are prepared to go. In addition, the restaurant can also cater events, retreats, and wedding. The menu can cater to anyone’s appetite, and the staff would be happy to work with guests if they have special dietary needs. There is Wi-Fi available in the main lodge. 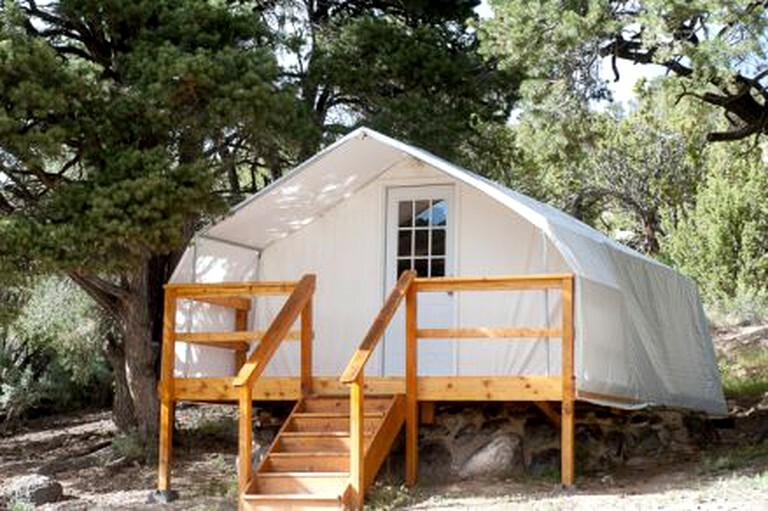 There are no televisions or telephones in the rentals, and very limited cell service. There is a phone for customer use available in the office. Weddings: An outdoor wedding overlooking the Grand Staircase with Boulder Mountain as the backdrop makes for a beautiful, unforgettable setting. Whether guests want to use the professional wedding planner on site or use their own, this site can help to create the magical day guests have always dreamed of. The in-house services provide a photographer, a wedding cake specialist, an on-site decorator, a chef, wait staff, entertainment, banquet supplies and, of course, ambiance. Guests can host a large wedding party of up to 130 people or cater to a small intimate wedding. Corporate Events/Retreats: This site is a full-service facility that will meet guests' professional and recreational goals and get companies away from the distractions of the city. The property can help guests meet their objectives through training, team-building, or appreciation packages. The event planner can work with guests in developing the perfect weekend or week-long retreat that can cater to any budget. Family Reunions: This site can help create a family outing that everyone will enjoy. The area offers activities for all abilities and all ages. 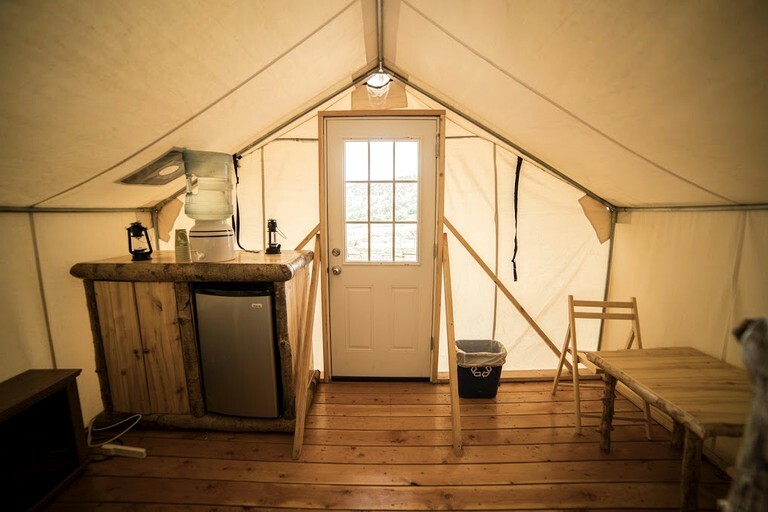 After a day of fun or relaxation, guests can gather around the campfire for an acoustic music performance followed by a Dutch oven cookout, or they can dine inside with an exquisite meal followed by a serene evening of star gazing. The hosts will arrange the kids' activities and set up games such as sack races or Hay is for Horses. There can also be story-telling of the old "Cowboys and Indians" in the area, educational tours, and teaching og how to make arrowheads and shoot bow and arrows. Retreats: The private setting of the ranch combined with endless activities for all abilities is great for a variety of retreats from yoga to couples' seminars and workshops. This site can provide guests with opportunities to participate in an enhancing experience set in an environment rich with beauty and serenity. This facility offers many options for meetings and gathering places. In addition to facility and activity planning, other services like catering, massages, speakers, and educational tours can also be organized. Perfect Holiday Getaway: Looking for something new, intimate and fun? 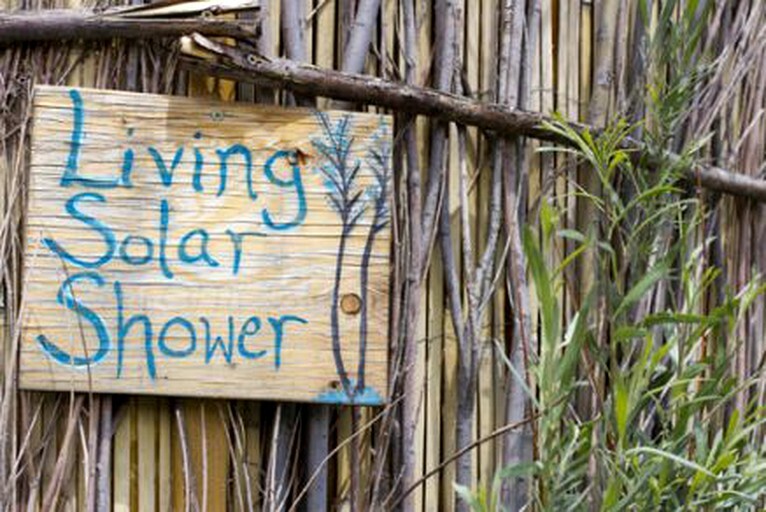 This glamping site can provide it all. 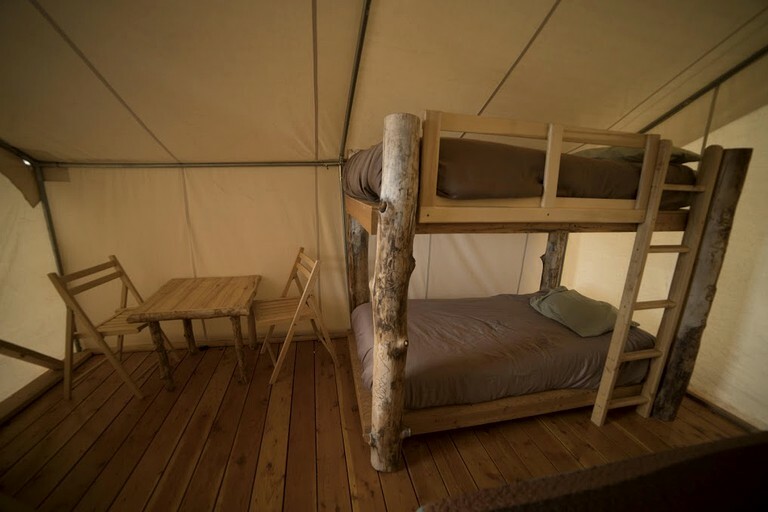 The entire lodge, including the cabins, can be rented for groups for a discounted package rate that includes a private chef and a customized menu. It can accommodate any size group from 2-30 people and will work with guests to make a memorable holiday for all to enjoy. 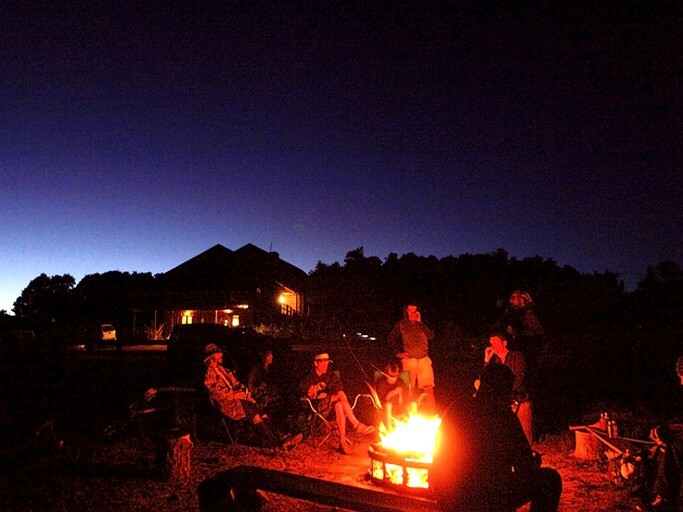 Whether the group is large or small, the ranch provides a unique holiday experience. 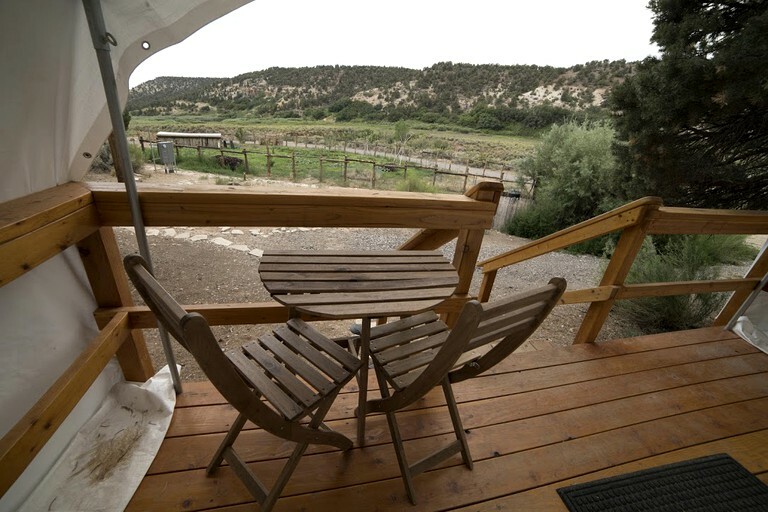 With adventures during the day, a cozy place to relax at night, and a full-service restaurant within walking distance, the ranch provides the perfect holiday getaway. 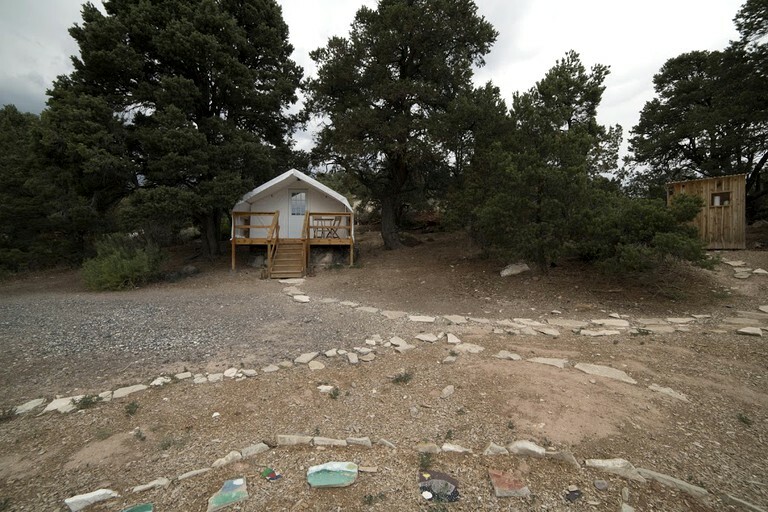 Located in the heart of Utah's scenic and wild canyon country, between Bryce Canyon and Capitol Reef National Monuments, this property is surrounded by millions of acres of undiscovered country. 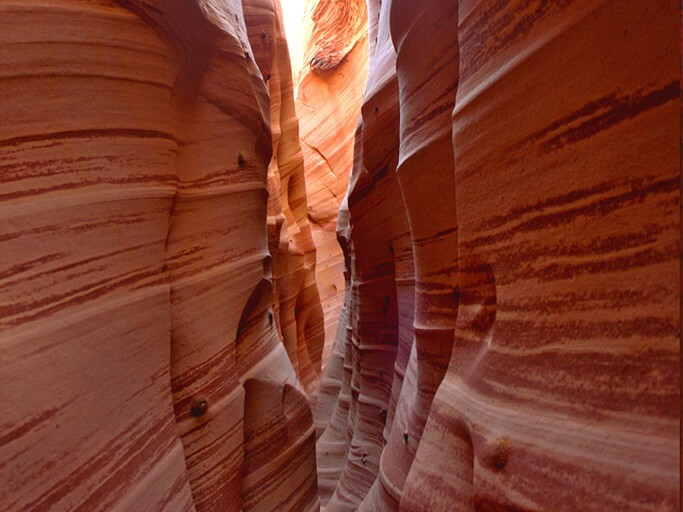 World-class sandstone slot canyons, just a short drive from the ranch, will take guests' breathes away. Grand Staircase-Escalante National Monument, a unit of the United States National Park system, contains numerous slot canyons such as Peek-a-Boo, Spooky, Brimstone, Lick Wash, Big Horn Canyon, Zebra and Tunnel, just to name a few. 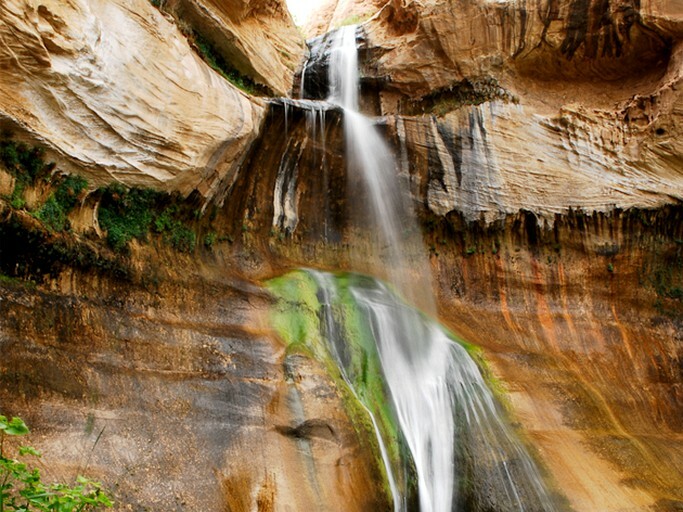 The Calf Creek Recreation Area offers one of the American desert's premiere (and little known) gems, the Lower Calf Creek Falls. While a year-round creek is relatively rare in the desert, this year-round 126-foot waterfall is stunning. Not far away, Upper Calf Creek has several pools with waterfalls, the largest one being an 88-foot waterfall descending into a beautiful pool. There is even a waterfall right on the property. There are nightly activities occurring for the guests of the property. Mondays have Wii on the big screen in the Siloon available upon request. Bowling, tennis, golf and baseball! Wednesdays is the day to roast marshmallows at the fire pit in front of the main lodge. The host provides marshmallows and sticks. Fridays are for relaxation with a movie on the comfortable couches in the Siloon, and a different movie is shown each week. On Saturdays there is live music in the ranch’s restaurant. Hiking: Hiking is available from the top of Boulder Mountain down to the Hole-in-the-Rock Road all the way to Lake Powell (via Hole in the Rock Road or Burr Trail). During summer months (June-August) Boulder Mountain, accessed by Hells Backbone Road, which is adjacent to the ranch, temperatures stay around a cool 60-70 degrees Fahrenheit and there are a variety of hikes. 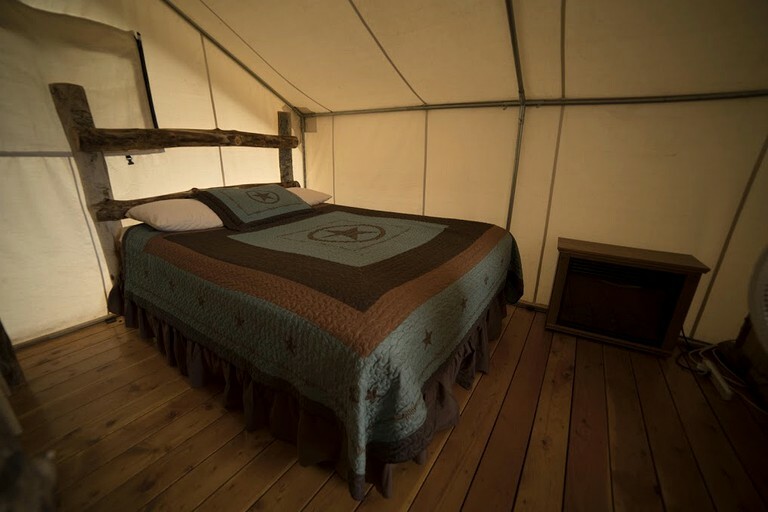 Within a few miles of the site, glampers can access desert hiking with hoodoos, pictographs, and petroglyphs, or trek down into Salt Gulch where guests will discover waterfalls, pools and unprecedented scenery. Whether seeking a leisurely stroll or a more extreme hike, Boulder Mountain, Grand Staircase and the surrounding area offers an extraordinary experience for all. 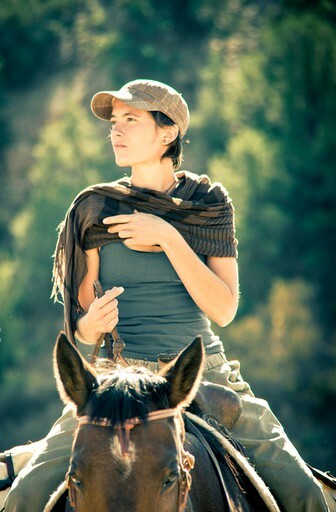 Horseback Riding: For the intermediate to experienced rider, guests will find unparalleled riding opportunities. 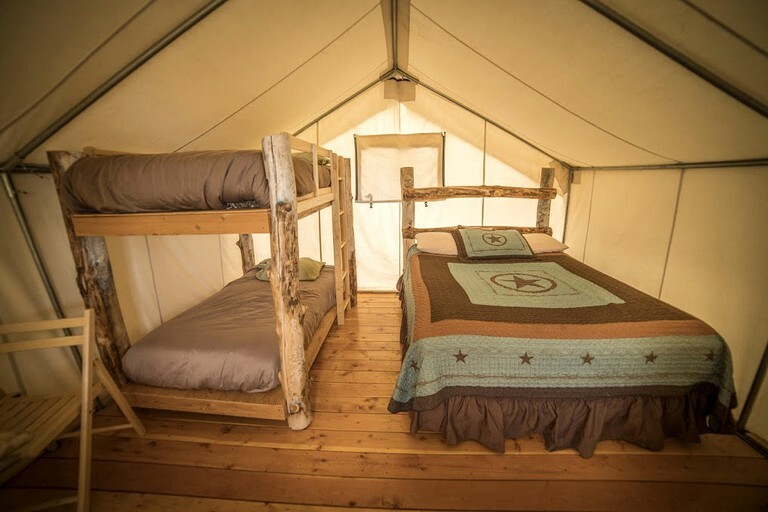 Whether exploring the pristine lakes at the top of the 11,000-foot mountain or scrambling down old slick rock cattle trails to rivers and streams peppered with ancient petroglyphs, glampers will find it all. The guides will lead guests through some of the most remote and beautiful country in the lower 48 states, as well as teach them about some of the geology, plants, animals and cultures of the area. Expect to walk, trot and canter through varied terrain, cross streams and navigate some steep ups and downs. After a day of riding, sit back and relax at the ranch where guests will be able to view the spectacular sunsets, gaze at the stars or warm oneself by a fire. Enjoy the amazing food served with plenty of hospitality. Mountain Biking: In the surrounding area, guests will be able to access deserted trails and undiscovered terrain. The riding is abundant and with numerous single track, double track (Forest Service roads), slick rock and desert trails. This wonderland of exploration is obtainable for all levels of riders whether following a guidebook or mapping one's own route. Fly Fishing: With over 80 lakes and countless crystal clear streams, fly fishing is one of the area's secret gems. The upper tributaries of the Escalante produce some of the finest brook trout fishing in the state, where trophies are often caught (not a fish tale). Tie a fly and cast a rod—guests won’t be disappointed. 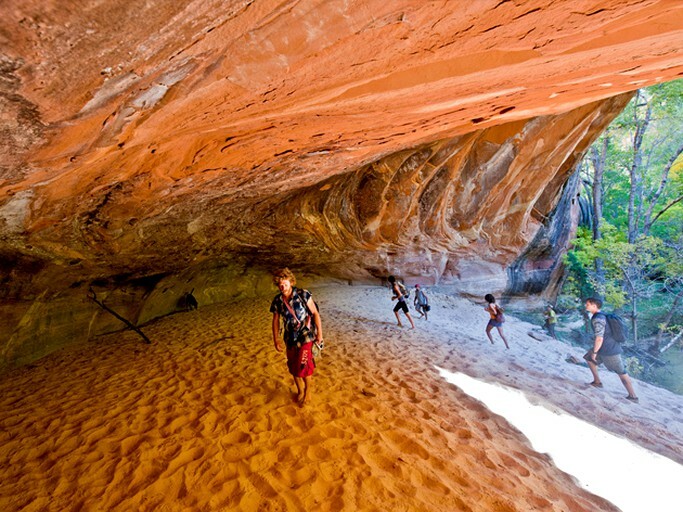 Backpacking: The property is now offering guided day and multi-day (overnight) backpacking hikes in the Grand Staircase Escalante National Monument, Capitol Reef National Park and the Glen Canyon Recreational Area. Other: Guests will also be able to engage in activities such as trail running, canyoneering, motor-touring, mountain/desert-biking and more. Winter Activities: Cross country skiing, horse-drawn sleigh rides, hunting, snowmobiling, snowshoeing, ice climbing, back-country skiing/riding and more. The main office is open during the regular season from 2 p.m. to 8 p.m. If guests plan on arriving after 8 p.m., please let the hosts know in advance if they can. The hosts will leave a map and key outside of office located at the main lodge in an envelope with the reservation name provided. Sweetwater Kitchen provides a unique dining experience and prepares meals from scratch with locally sourced meat and produce. The chef provides a variety of unique flavors highlighting the regional western cuisine while infusing a contemporary flare. The menu is available on the host's website, but will change throughout the operating season. Advanced reservations are required. The menu can cater to dietary restrictions as needed. Please inquire with the hosts for more information. Hells Last Outpost will be open during office hours, where guests can purchase snacks, drinks, easy to make dinner supplies, charcoal, gifts, games etc. Check-in time is 3 p.m. Check-out time is 10:30 a.m. Guests may request a late check-out if needed, though the hosts cannot guarantee a late check-out. Please leave the key in the room upon departure or return it to the front desk. Forgotten Belongings can be shipped back to guests for a $25 fee plus shipping costs. There is a 14-business-day grace period for all items shipped. Damage Policy: Excessive cleaning, damage, or missing items in the rooms or cabins will be charged accordingly. If any provided amenities goes missing, there will be a fee applied. Each room has a checklist provided upon housekeeping. The charged fee will be up to the host's discretion.